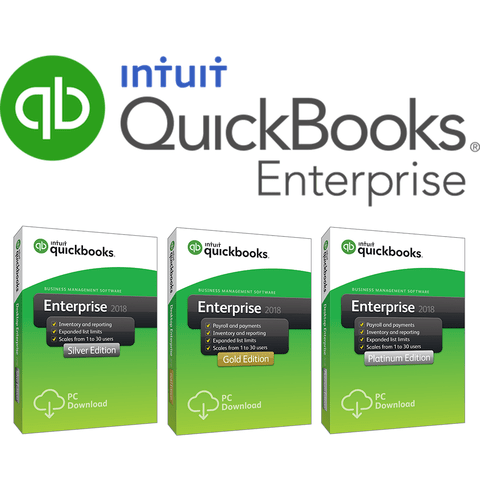 SILVER: QuickBooks Enterprise, Advanced Reporting, Industry Editions, U.S. Based Support, Online Backup, Upgrades, 60 Day Guarantee, Online Training, QuickBooks Priority Circle, Full Service Plan, & Optional Hosting. GOLD: Everything in Silver plus Enhanced Payroll. PLATINUM: Everything in Silver & Gold plus Advanced Inventory, and Advanced Pricing.